Upon first meeting Simone and Alex I knew their day would be nothing short of wonderful. 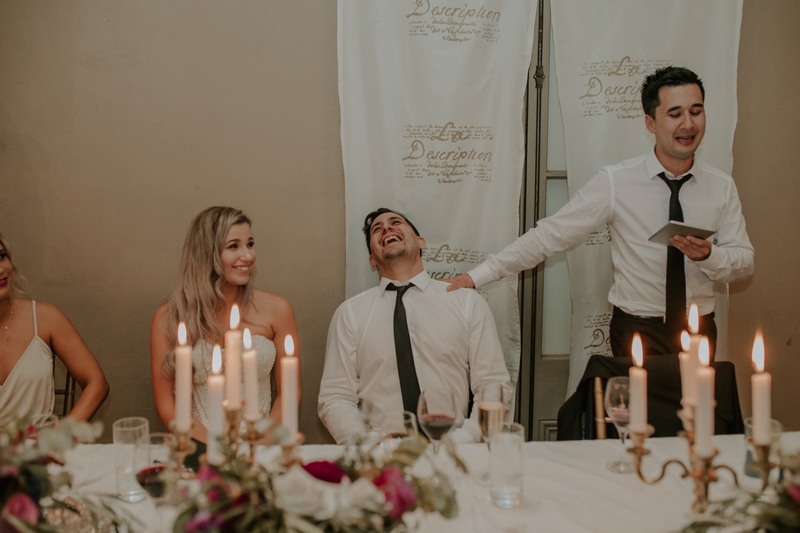 Simone dreamed of tuscan inspired details, classic and timeless set in Mantells in Mt Eden, And Alex was sure to supply plenty of lols throughout the day! Their Engagement shoot had me absolutely speechless, they were one of my first couples to come shoot with me in Piha just after I moved and we explored this beautiful wild west coast as the sunset, it was windy and rainy but the sun peered through the moment we stepped onto the beach and held out till the moment we reached the car after watching the sun dip below the horizon. After that day I simply ADORED these guys. And I began counting down the days till I got to see them become hubby and wifey! Immediately after arriving to Simones Hotel I was completely blown away by her sense of style - After her E-shoot I knew this gal had taste, but she had outdone herself here. Simone had brought beauty and thought into every detail, even down to making sure everyone felt comfortable and at ease. She even did her mommas hair - which made my heart melt! The whole day was filled with so much beauty and so many laughs! I had such a blast with these two and Im so so happy they get to be at each others sides forever! They are perfectly matched and they both brings something so unique to their relationship. Its a beautiful thing to see two people giving their all to one another and they really are such a beautiful pair. Alex is silly, Simone is Sassy and together these two will take over the world!